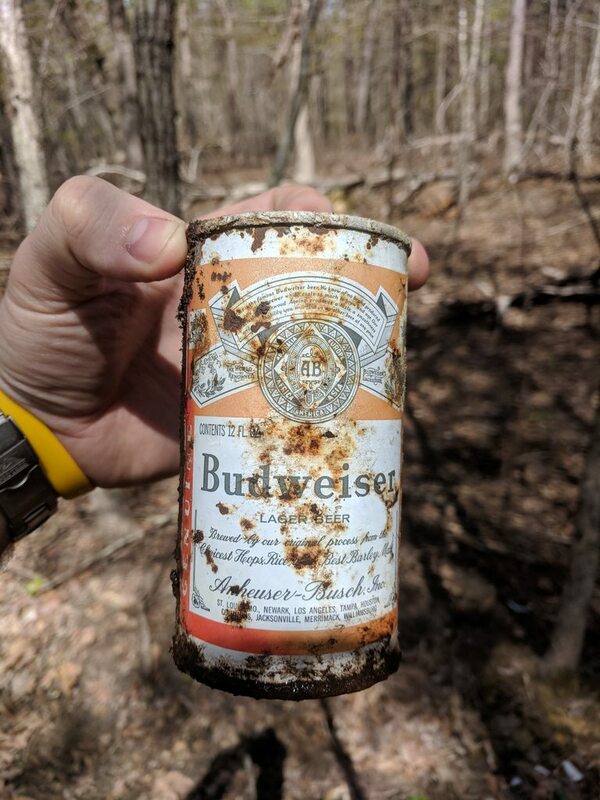 From what I looked up online, this can is from 1958 (the same year my dad was born). There were quite a few of them along with a bunch of glass beer bottles as well all in the same area. Guessing it was someone's regular camping spot back in the 50s. It's neat to wonder who they might have been and what they're doing now, but it's also a good reminder to carry in any crap you bring into the woods. This junk stays around for a loooooooooooooong time. Was the beer still ok or was it green? They all had rust holes in them and probably have been empty for a number of years. This one had a bunch of moss growing in it. That brings back some memories. I remember opening them with an old knife back then. I've found many old bottles while demoing old buildings. Look up guy chugs 40 year old beer or Wolfman bean on youtube. It's a buddy of mine that made Web junk 20 on VH1 back a while ago. I die every time I watch it still! Here's the video of old beer chugging...lol!